Tunbridge Wells Biggest Teddy Bear, aptly named ‘Teddy Selfie’ took up residence inside the West Kent’s biggest shopping centre between 19th November and 5th January, with shoppers and their families posting images of themselves taken with the 3.5m high teddy and donating money to the charity. Plus the five best selfies won a £50 RVP Gift Card. “We’ve been overwhelmed by the support people have shown us through the #RVPTeddySelfie campaign. 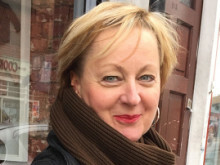 If people would like to support our work to provide specialist hospice care to terminally ill children, they can visit www.ellenor.org“ says Katie Gardner, Area Fundraiser. 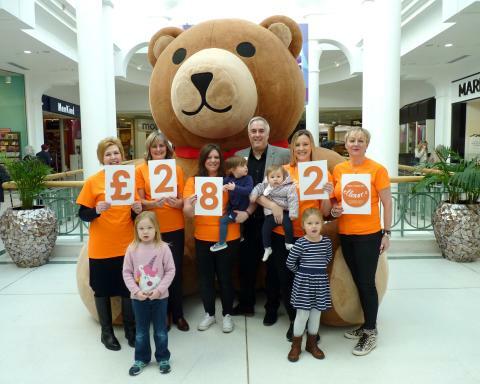 Royal Victoria Place’s Teddy Selfie campaign has raised £2,818.67 for ellenorfunding vital hospice home care to babies, children and young adults, aged 0-18 years. The money raised will fund 90 play therapy sessions. ellenor is the only charity in Kent that provides hospice care for people of all ages – babies, children and adults - and their families. As a pioneer in the field of hospice at home care, ellenor enables children in Kent to receive the very best care and support they need at home, so they can stay with their loved ones. Specialist care such as chemotherapy and respite provided in the sanctuary of the family home enables them to focus on building precious memories in the limited time they have together.